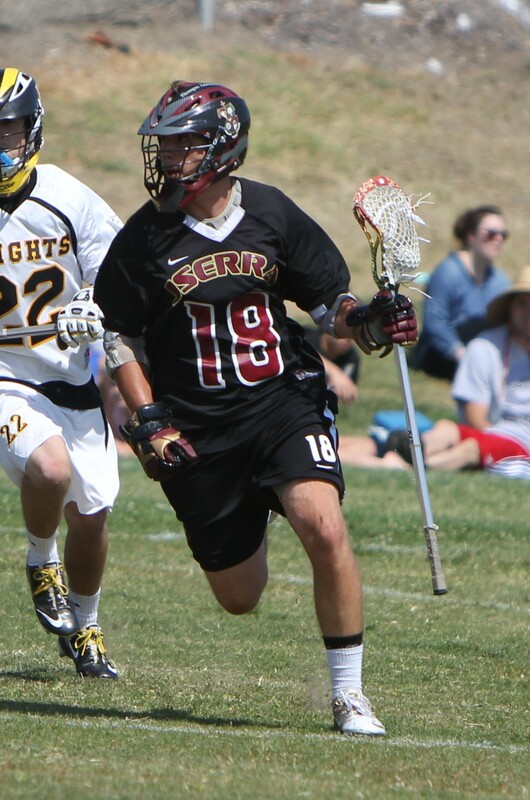 The JSerra Catholic High School Lions, led by Cole and Jake Schleppy, made a loud statement about this year’s Trinity League race with a convincing 13-4 win over the Santa Margarita Catholic High School Eagles. Tied 3-3 at half time, the Lions scored three quick goals to open the third quarter and then ran away from the Eagles. The game opened with Santa Margarita controlling possession of the ball for most of the first quarter but struggling to points on the board. Meanwhile, the Lions capitalized on their first real opportunity of the game when Yuta Murata scored at the 3:00 minute mark of the first period to put the Lions up 1-0. The Eagles responded with goals from Wes Schuler (unassisted) and Cullen Bock (assist Hayden Ruiz). 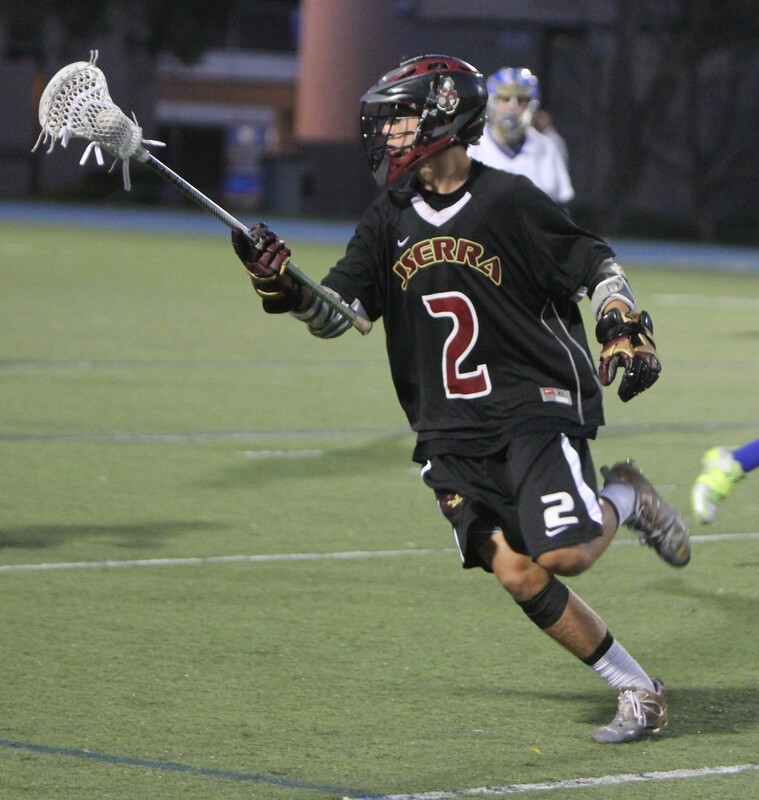 Ruiz opened the second quarter with an unassisted goal to make it 3-1 at 8:15 of the second. Then the Schleppy brothers took over the game. Cole ripped one into the far top corner as ran to his right at 8:15. About a minute later, younger brother Jake showed that the apple does not fall far from the tree as he scored on a near carbon copy to close out the half at 3-3. The Lions opened the second half with a vengeance with four goals in the first three minutes. Freshman Anthony De Maio got it started with an assist from Jake Schleppy. Then it was Jake, Cole, and Jake again, all unassisted to make it 7-3. Watch all the highlights here.